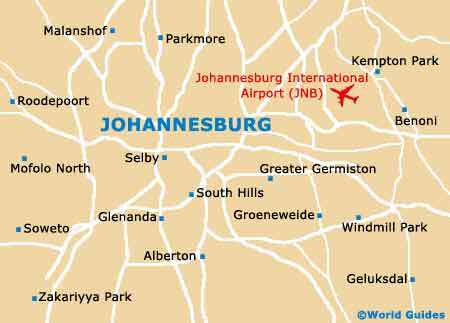 Johannesburg has a particularly rich and tumultuous history that began with the discovery of gold. Visitors can get a fascinating glimpse into the city's past through Johannesburg's many museums, which cover subjects ranging from politics and music, to apartheid and even brewing. Particularly fascinating and thought-provoking is the Johannesburg Apartheid Museum, which tells the dark story of apartheid in South Africa, from its rise in 1948 to the liberation of Nelson Mandela in 1988, and the signing of the National Peace Accord and Bill of Rights in 1991. 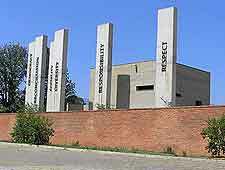 At the entrance to the Apartheid Museum, you will be arbitrarily allocated non-white or white status before embarking on a journey. 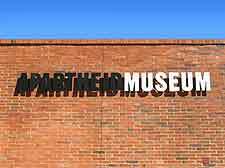 Visitors are then transported back to the apartheid era, using a successful mixture of film, photographs, oral history and a collection of poignant artefacts. If you want to really get to know what makes Johannesburg tick, then it's worth taking time out to visit MuseuMAfrica. 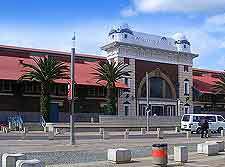 Housed in what used to be Johannesburg's main fruit and vegetable market, the museum holds an impressive collection of artefacts covering the city's political, economic and social history. What is perhaps most interesting, though, is a chance to step back in time. There are seven permanent displays depicting urban life. Particularly evocative is 'Sounds of the City', which takes a look back at Marabi music and dance, from the slumyards to the shebeens. The South African National Museum of Military History is home to a vast collection of more than 44,000 artefacts relating to the Anglo-Zulu War, Anglo-Boer War, the First and Second World Wars and resistance movements in South Africa. On display are South African war art and photography, aircraft, armoured fighting vehicles, uniforms and medals, and all manner of militaria. There is also an extensive archive of books and journals. This SAB World of Beer has been telling the story of the humble bottle of beer to Johannesburg's visitors since it's opening in 1995. It also tells the history of SAB Beer, one of the largest brewing companies in South Africa. Special effects, and sound and light shows make this an informative as well as enjoyable experience. At the end of the museum tour, visitors can relax in the museum's rooftop bar and enjoy a couple of glasses as well as admire the view. Johannesburg's museum of natural history is part of the University of the Witwatersrand. Visitors of all ages can admire botanical and zoological specimens displayed in their fine teak display cases. The display area is open to the general public, whilst access to the museum's reference collection needs to be booked in advance. This museum celebrates the people and organisations who have been awarded the Nobel Peace Prize with particular emphasis on the South African Laureates Albert Lutuli (1960), Desmond Tutu (1984), Nelson Mandela and Frederik Willem de Klerk (1993).